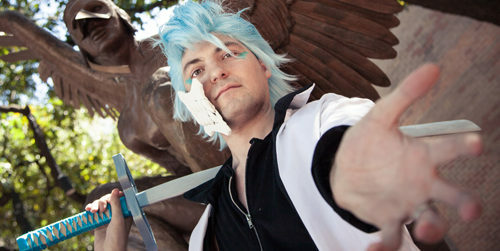 Anime North Texas relies heavily on the convention community for it’s volunteer force. As such, we will be including all the information that convention goers need to apply to volunteer or Staff the event. What’s the difference between volunteers and staff? Volunteers are assigned tasks for the weekend of the actual event, whereas staff work beforehand in the planning stages, and must keep in contact with other members of the convention. The perks are different for the two as well. For all those interested you can submit a application below. As a Volunteer / Staff Member you are representing Anime North Texas and your actions reflect directly upon our show. With that being said, we expect all of our volunteers and staff members to read, sign and adhere to the following Code of Conduct each year. If a volunteer misses a shift or behaves poorly, at any time, the Staff Head over the volunteer, any Director or the Chairman may revoke the volunteer’s badge and any other benefits the volunteer may be receiving. If it is against the law, it is not permitted. Volunteers must be 17 years of age or older. Please be truthful about your age. You will be asked to present a photo ID on site at check in when you pick up your badge. Volunteers are expected to volunteer for 16 hours to receive a membership badge over a minimum of 2 days. 24 hours are required for any volunteer accepted for crash space. No skipping lines to concerts, Dealer’s Room, and other events. You will be responsible for any damage to the hotel and/or convention property. No volunteer will consume, transport, or carry alcoholic beverages of any kind while in convention areas or crash space. Volunteers must be sober when reporting for assigned hours. If we can tell you are inebriated when you show up or at any time during shift you will face consequences up to losing your badge. No volunteer will use, transport, carry or distribute any illegal substance. If you are caught with it or if we can smell it or otherwise tell that you are using any illegal substance you WILL face consequences including removal from the convention and any legal ramifications. You may also be banned from volunteering with our organization in the future. All Volunteers will keep their hands to themselves. This means no grabbing attendees or to stop them and no grabbing badges. Only select staff heads and directors no one else has the authority to pull badges for ANY reason. Volunteers are expected to show up on time to their assigned duty locations. If something comes up and you’re not going to be on time for your shift, it is your responsibility to reach out to your supervisor and let them know what it going on. Failure to show up for 2 shifts without contacting your supervisor will result in you being labeled a “No Call No Show” volunteer. This can affect future volunteer opportunities with our show and our affiliated shows. The Green Room is for guest use only. Only on-duty Guest Relations and Green Room staff, the Convention Chairman, Executive Director and Operations Director will be allowed admittance. DO NOT discuss the Green Room or it’s location with or around attendees. This room is for our guests to have a space to step away and breathe for a moment. We do not want attendees laying in wait for guests outside of the Green Room. Anime North Texas provides its volunteers with a Staff Suite. Volunteers not on duty may go to the Staff Suite to relax, socialize with other volunteers, and eat snacks provided. Staff Suite staff may refuse to serve or allow anyone in for any reason. Staff Suite staff members are not your mother and they are not your maid. Clean up after yourself. Cosplaying or wearing a costume is not permitted by an on-duty volunteer, unless approved beforehand by the convention Director, Vice Chairman, Chairman, or designated Staff Head. Travel costs, and parking fees are the responsibility of the volunteer. Furthermore, transportation to and from the convention is the responsibility of the volunteer. Anime North Texas, it’s staff, and hotel personnel are not responsible for any misplaced, lost, or stolen personal items. Please keep in mind that while your time “off the clock” at the convention is yours you are still a volunteer/staff member and representing the convention and are still accountable for your actions during that time. You can and will be reprimanded for any Code of Conduct violations.